The amazing imagery of Little Shop of Horrors is enough to make an indelible impression in our brains. Though it never becomes complacent in knowing this. Rick Moranis plays a nerdy florist who discovers an evil giant talking plant who helps him get the fame he’s always wanted and may lead to his ticket out of the sleazy part of town. He’s also in love with a woman named Audrey (Ellen Greene), who he thinks is out of his league. The depth of the film runs much deeper than you’d think. The themes are thought-provoking. Mainly, the one regarding Audrey being physically abused by her boyfriend. Greene is able to showcase the severity of her issue while still bringing humor and sincere levity to the production. In fact, Audrey is perhaps the real main character of the film. She’s the one who’s mind we see inside of the most. Lieutenant Cobretti will spitball well-scripted one liners, and he’ll even beat a sawed-off shotgun in a West Side Story rumble with just a 4 foot chain. He’s not afraid to shoot up dozens of bad guys without hesitation, but don’t ever expect him to take the clear shot when he’s one-on-one with their leader. 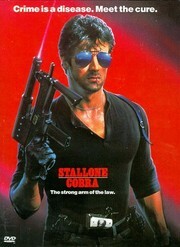 Sylvester Stallone plays Marion “Cobra” Cobretti, an elite mercenary for the Los Angeles Police Department. He then becomes invested in a string of murders around the area and tries to figure out who’s responsible. It’s not fair to say that this is an unentertaining movie. It’s enjoyable and I laughed a few times, but many scenarios are too convenient for the progression of the story. Cobra’s colleagues have no reason not to believe his hunches. He’s obviously done his homework and has talked to one of the culprits. And we know who the “inside man” is right away. There’s no mystery. We see that Cobra is right the whole time. We’re basically just anticipating the inevitable conclusion. At the very least it gives you characters to like and root for. Some of the action is ridiculous, but some of it is decently creative. And it keeps the story moving quickly. However, it would probably serve better as an episode on a crime drama series. Stallone and his secondary lead, Brigitte Neilsen, have great chemistry (they were married) and do a good job carrying this film. But it’s no First Blood.